A few pointers for restoring and modifying your vehicle electrics: Disconnect the battery when working on the loom (if you are in any doubt about that one, stop and hire an automotive electrician now). If replacing cables always use at least the same thickness as the one being replaced, that is the copper core thickness not the overall diameter as the insulations can vary and cheap cable can have surprisingly little copper in the middle. It doesn’t hurt to go thicker if you need to. Note that cables come in different types, so basically, the more ‘cores’ means the cable is more flexible. Solid core isn’t a good idea as it can crack over time from vibration. Note that modern replacement wiring often has physically thinner outer insulation (but just as good an insulator) as weight reduction is important to manufacturers. Remember the bodywork is one ‘side’ of the circuit that enables the electricity to flow and the cables are the other. 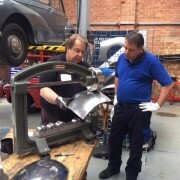 This tends to be ‘Positive Earth’ on older cars eg the bodywork is the Positive connection, but from the 1960’s Negative Earth started to become the standard, so the bodywork is the Negative ‘Earth’ side. Make sure new connections are crimped or soldered and insulated well with heatshrink if required. You only need a tiny area of exposed copper core to touch the bodywork to cause a circuit and therefore a spark. Don’t twist wires together, slap some insulation tape around them and leave at that. Cheap insulation tape adhesive will go ‘gooey’ over time and then let go altogether, exposing the bare copper. As for those blue ‘wire-tap’ connectors you see, they seem like a good idea for a quick fix but in our experience should be considered the place to start with tracing any electrical issue if they are fitted. Check for ‘blackwire’ which is a deceptive corrosion of the copper underneath the insulation where it turns black and becomes resistant to conducting the power. This usually happens to the negative cable (or ‘Earth’ wires on later vehicles) and happens near to where they terminate. The frustrating thing is that this can go several inches up the wire yet be hidden by the insulation. Its hard to remove and is best treated by cutting out the affected area and replacing that length of cable. Also check for melted insulation. As a guide, the melting usually happens halfway between the supply (battery or Alternator/Dynamo) and the drain (lights, fan etc) as this is the point of most resistance. It usually indicates overloading of the cable causing it to heat and soften the insulation. Before you replace the cable try and find the cause of the overloading, something is drawing a lot of current, perhaps a bad connection, high wattage bulbs, etc. Classic vehicles are usually way too light on fuses and relays so don’t be afraid to add additional fuses or a relay to handle high current situations such as full beam. They are small enough to be concealed and everyone would prefer to see your classic on the road than in flames! Finally, if your vehicle has LUCAS electrics you will probably already know our American friends have a saying that this stands for “Loose Unsoldered Connections And Sparks”. On the good side, its usually easy and cheap to repair and issues are invariably down to a bad ‘earth’ due to corrosion. 400AMP and 3 Metres (nearly 10ft) long so not for wimps. No point in messing around with cheap and nasty jump leads, they're short and stiff so encourage a short and will just restrict cranking current due to their thin and low conductivity cables. 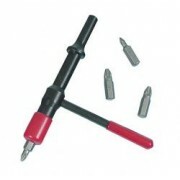 These are good value but upto the job and th..